A gorgeous run south of Boston. Overlooking Hingham Harbor, 251-acre Worlds End offers several miles of roads and trails, flanked by specimen trees, with great views to the water and the Boston skyline. With its rolling, landscaped, carriage-style roads, Worlds End has all the hallmarks of its designer, Frederick Law Olmsted. 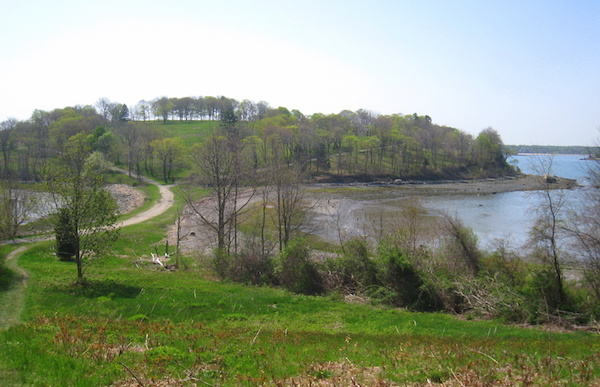 Worlds End is administered by the Trustees of Reservations and is also part of the Boston Harbor Islands National Park. The best bet for running is to do the ~3 mile loop around the main roads, from the parking lot, across The Bar, and out to World’s End. An additional small loop out to Rocky Point is a little more rugged. Note: fee required for parking. Lot can get filled.